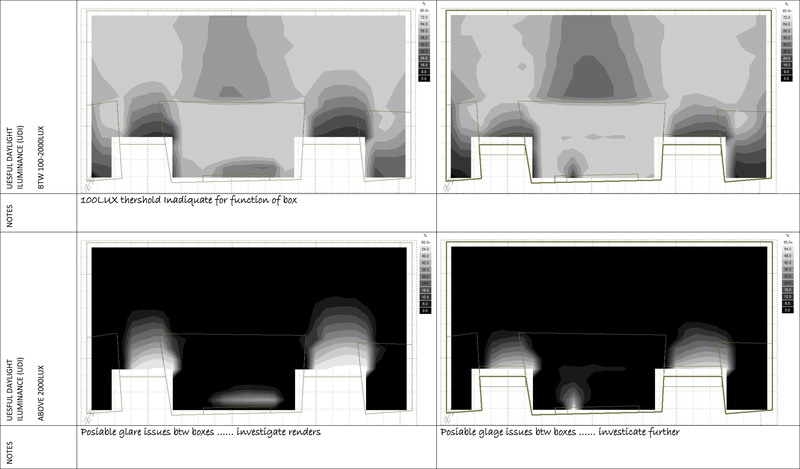 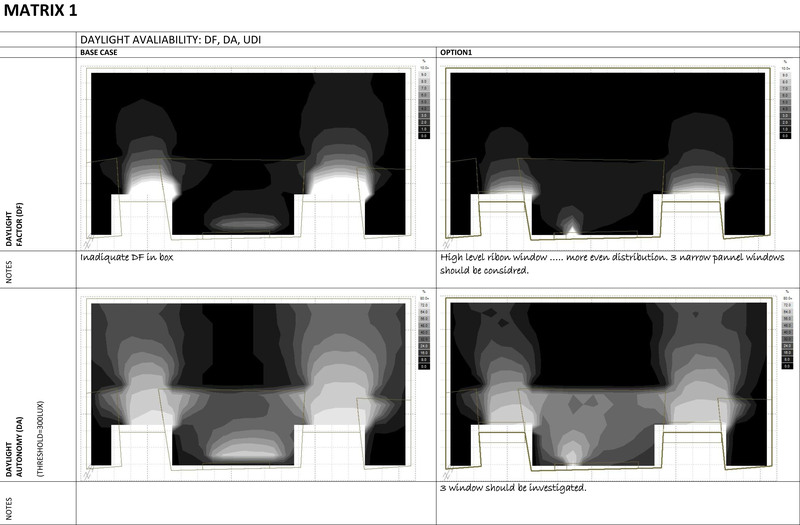 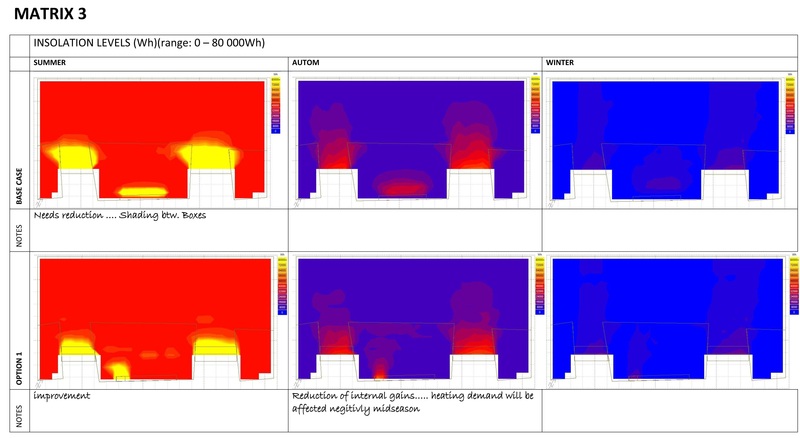 Here follow some examples of detailed daylighting analysis / simulation to optimize daylighting solutions. 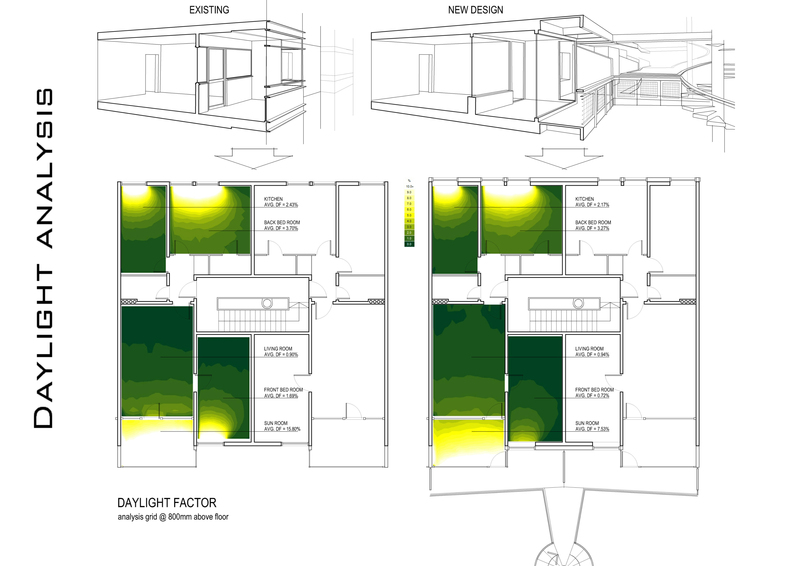 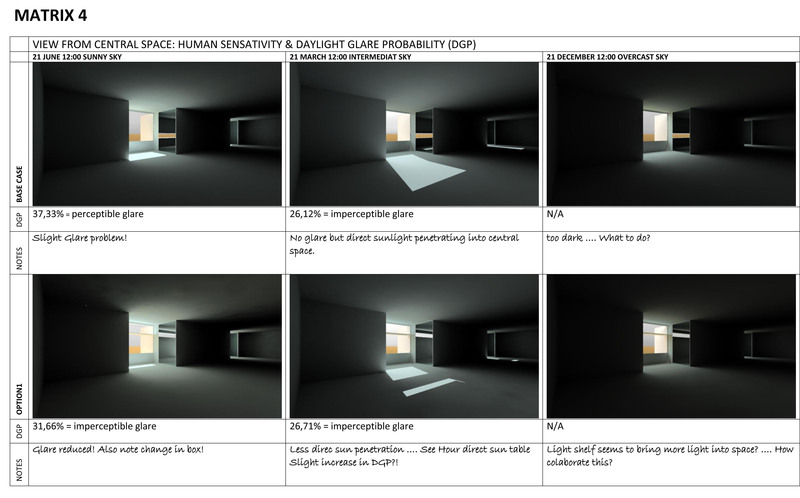 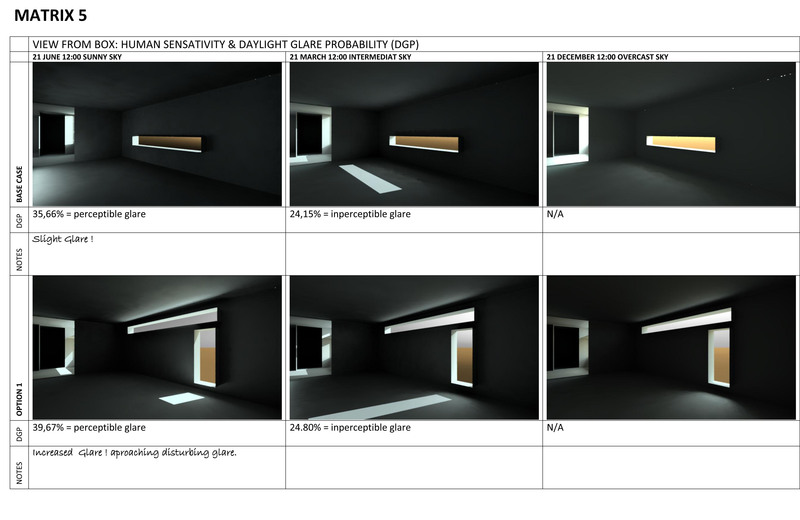 Spaces & daylighting options are assessed and compared in terms of various daylighting metrics such as: Daylight Factor (DA), Daylight Autonomy (DA), Useful Daylight I luminance (UDI), Daylight Glare Probability (DGP) among others. 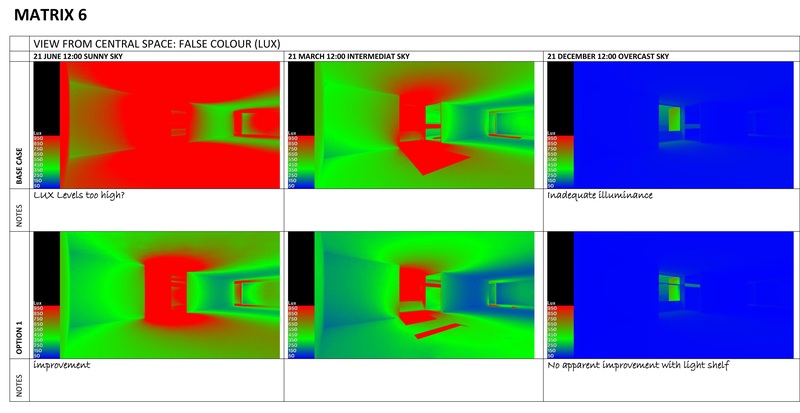 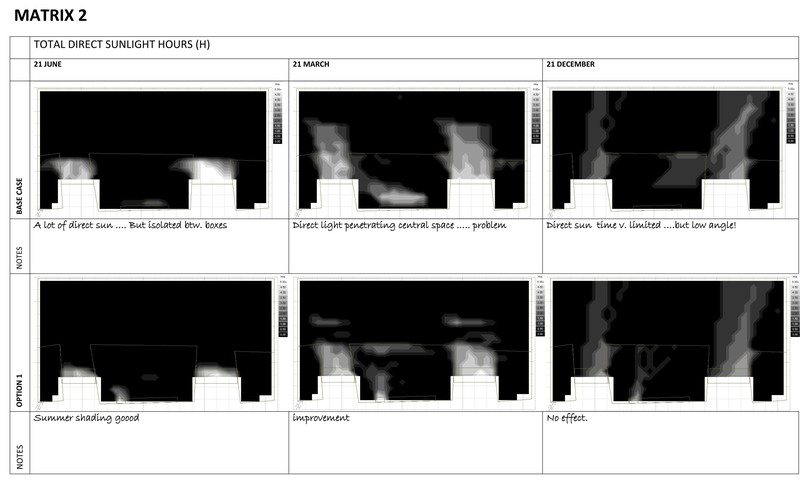 Simulations are performed with a combination of: Ecotect, Radiance and Daysim to produce quantitative and graphic outputs for easy comparison / assessment.